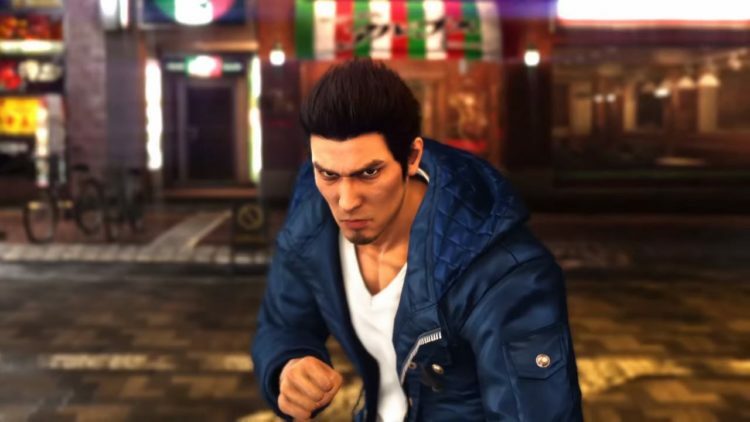 In SEGA’s latest installment in its long running Yakuza series, a lot is riding on giving the series protagonist Kazuma Kiryu a strong send off. To accomplish that, Ryu Ga Gotoku Studio has made a string of changes and brought back a host of ex-characters to give the legendary gangster one last, great, final adventure. Reporting live from Tokyo Game Show for SEGAbits, I’m ready to share my hands-on impressions with Ryū ga Gotoku 6. Hit the break to find out more. Now to begin with the demo, Kazuma Kiryu starts off holding the mysterious baby that is presumed to be Haruka’s child whilst he begins his quest to find out what happened to Haruka. Compared to Kamurocho, Hiroshima is a greatly different city. Unlike the flashy spectacle that is the red light district of Tokyo, Hiroshima is much more reserved in its appearances. The population density is considerably lower than what we’ve experienced in Kamurocho and the town itself seems rather quaint and peaceful. I could see what the developers were aiming for with this city and am I still seems to try and replicate the feeling of Okinawa from Yakuza 3. Suffice to say I’ll be excited to explore more of this city! In fact, one of the coolest features is being able to take a selfie, definitely something I’m looking forward to messing around with! When it comes to the graphical capabilities of Yakuza 6 it certainly looks nice and the team has added a brand new feature that helps bring out the huge increase in detail in a free roaming first person mode. Just wandering through the city of Hiroshima and entering some of the stores shows how the development team have added to the massive amounts of detail. I still have a few issues when it comes to the graphics – the jaggies are still very harsh and the water, whilst true to the physics, didn’t look particularly great and unfortunately the FPS did drop at certain points. Though for all of its short comings, the attention to detail in Yakuza 6 helps to maintain a great standard rarely seen in video games and Hiroshima still looks like and feels like a living breathing city. 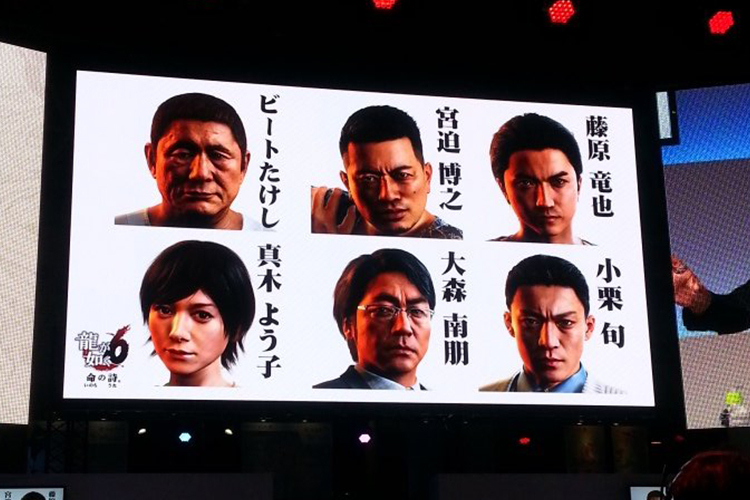 Other improvements to the presentation of the gameplay and its refinement to achieve the ultimate Yakuza experience would be the considerably superior numbers of NPCs with different models. And unlike past games in the series, for the first time they’ll all be voiced too! 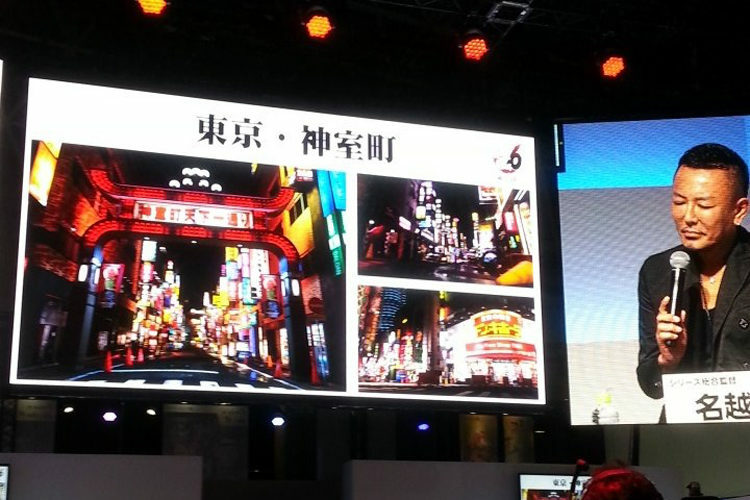 Helping to bring out the life of the city should make those wanting Yakuza to update its presentation giddy with excitement. While exploring the city I found one of the newest features for the title was the seamless transition from the outside to the inside of a building. In fact, it’s done so well you can throw goons off from the first floor then jump over the balcony to the ground floor and continue your fight. At one point in my play through I made a couple of gangsters chase me to a bridge and then I threw them over it! On to the meat of the demo. Those who have played or seen the demo from earlier this year feared some content from past games would not return, however thankfully I can confirm that knocking people out with bicycle is still a thing! Kazuma himself has slowed down, not quite to the level of Saejima but noticeably slower than what he was in Yakuza 5. On the other hand, his maneuverability has increased substantially and his area of attack has increased. The ultimate heat mode comes in to replace the older red heat rage mode of Yakuza 5 and acts completely different. Whilst in the previous game Kazuma’s focus was taking out multiple goons in fast hard hitting moves, the new ultimate heat mode is more about focusing on a single enemy. To compensate for this change, Kiryu in regular mode now has the ability to throw enemies 360 degrees to clear up an army of them. Finally, the addition of mini games are greater than ever before and these are not just simple few button games. We’re talking about games that require a bit more in depth concentration to play through. First up they showed what was a make your own gang game that seems to have a companion app designed (exclusively?) for the Sony Xperia (which is incidently his phone in the game). It seems you’re meant to go out to eateries with your team or recruit other Yakuza characters like Majima to help increase the strength of the team. Another team building mini game that was introduced was fascinating to watch but unfortunately without knowing the language was hard to understand the way to play. On the other hand a new mini game that was very easy to understand was one where you raise a cat… actually, not one, not two, but over ten cats! But perhaps my favourite I got to see was the underwater fishing mini game mainly because in great Yakuza tradition Kazuma faces off against another large animal in the form of the great white shark. In my short sampling of Yakuza 6 what I found was the team greatly upgraded the Yakuza formula to the point where it might be close to being considered perfection. I am unable to judge the story just yet, as there was a very limited amount, but if the gameplay matches the plot then not only well this be an excellent game, it’ll end up being a great send off for one of gaming’s greatest protagonists, Kazuma Kiryu. 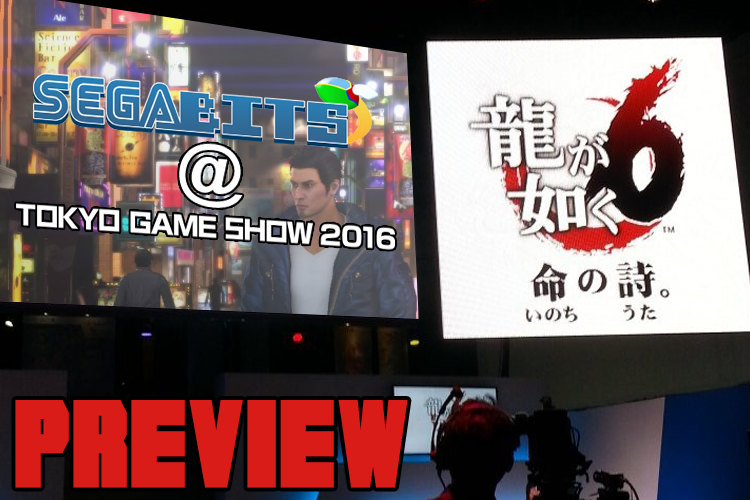 Special thanks to Aki-At and ap0c for their coverage of Yakuza 6 at Tokyo Game Show 2016.